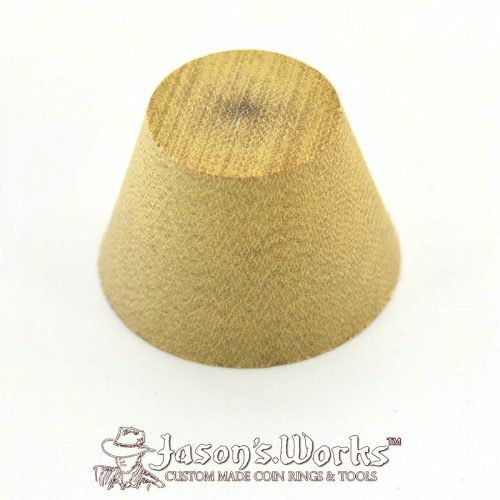 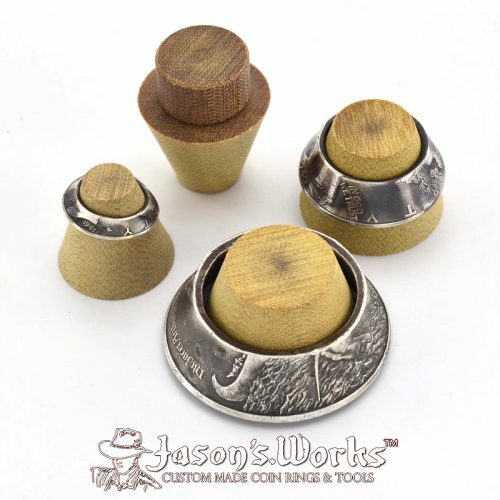 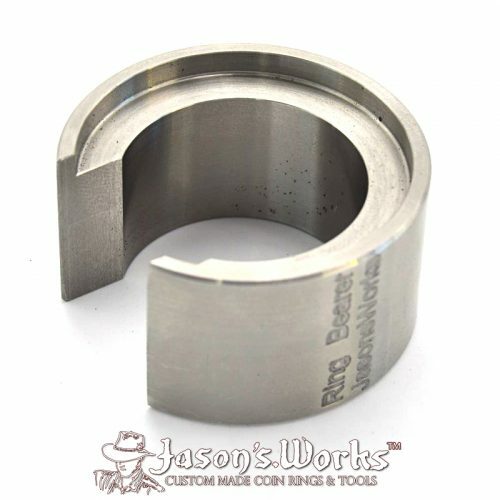 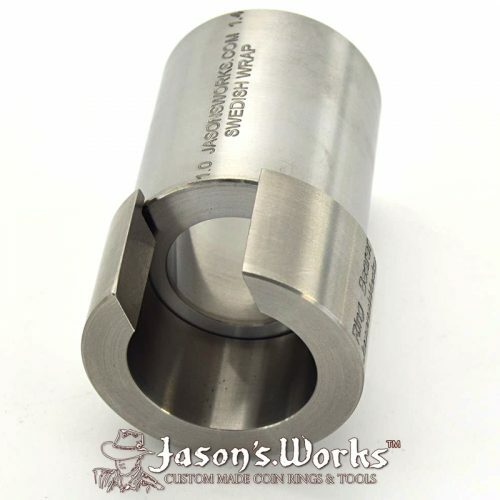 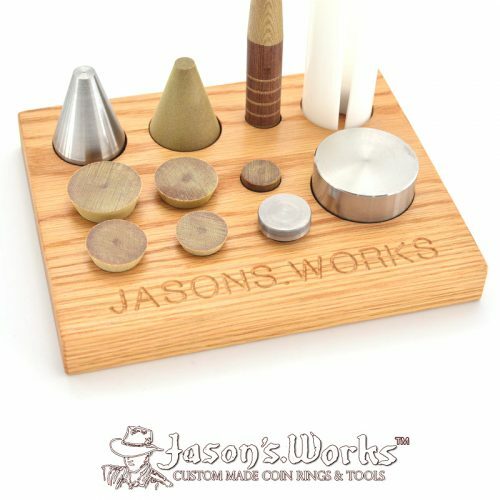 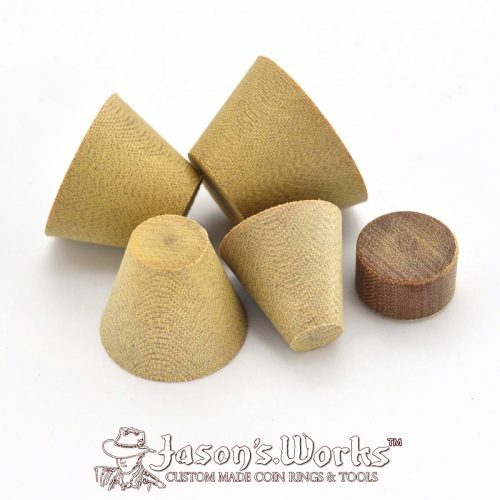 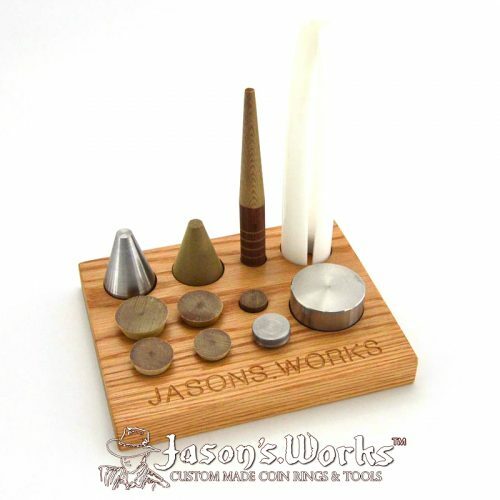 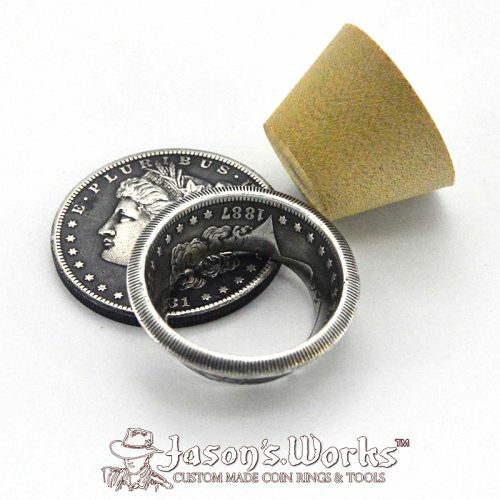 Buy USA coin rings online: Morgan Silver Dollar Coin Ring from Jason’s Works made with the highest quality coin ring making tools available in the USA. 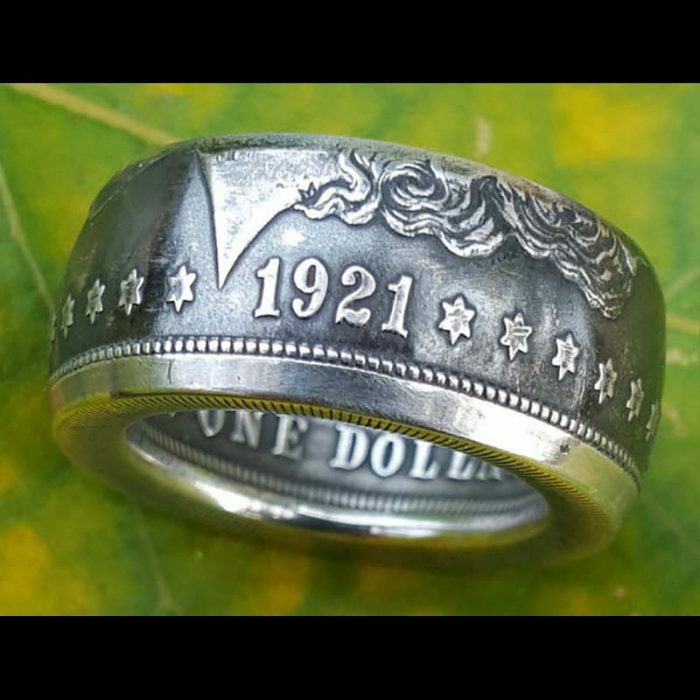 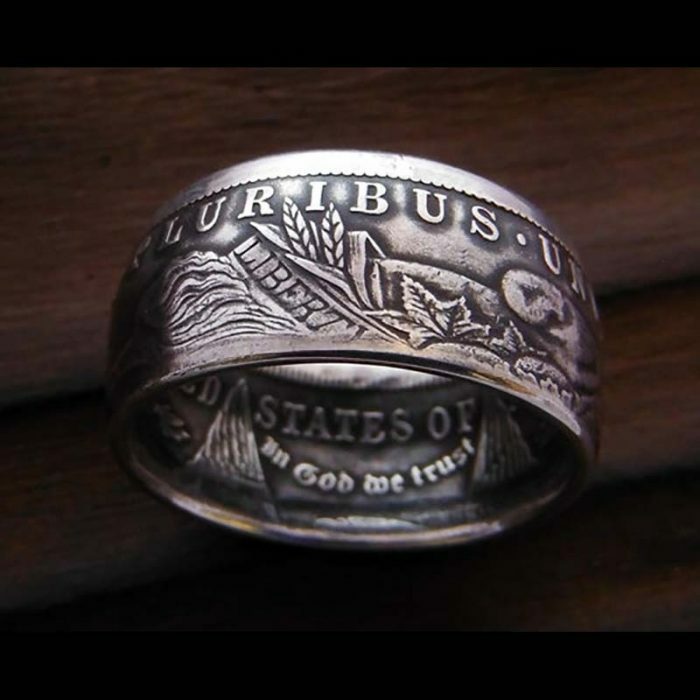 This is an example of the custom made Morgan silver dollar coin ring that you would receive. These were minted from 1878 to 1904 and again in 1921. 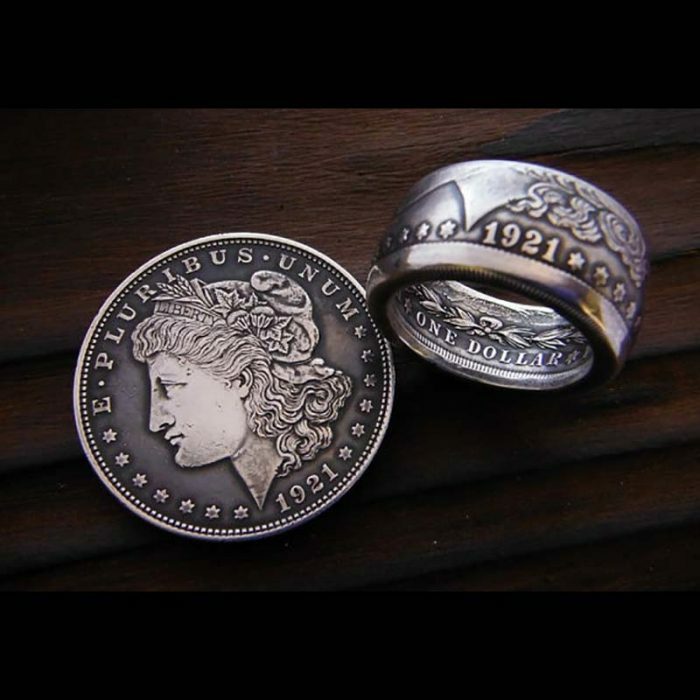 Choose the year of either pre or post 1900. 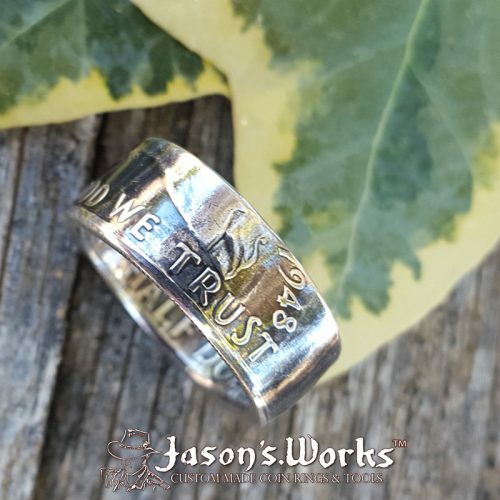 If you have a specific year in mind, Let me know and I’ll see if I have one. 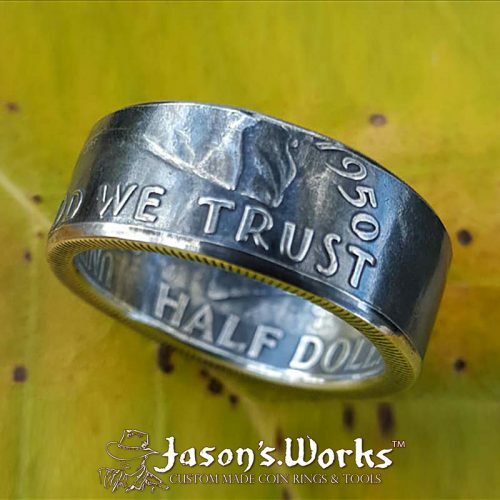 Also, let me know if you would like “tails” showing on the band in the comments section of your order. 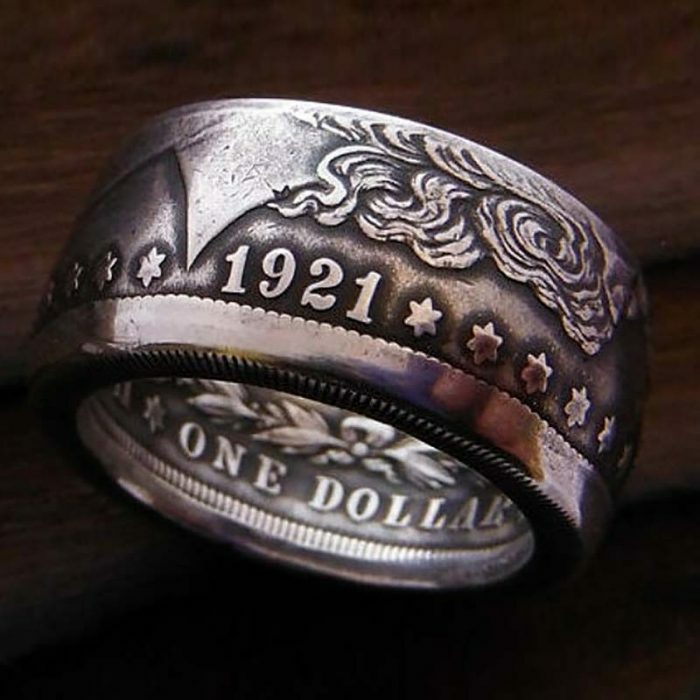 These are BIG rings, heavy and thick. 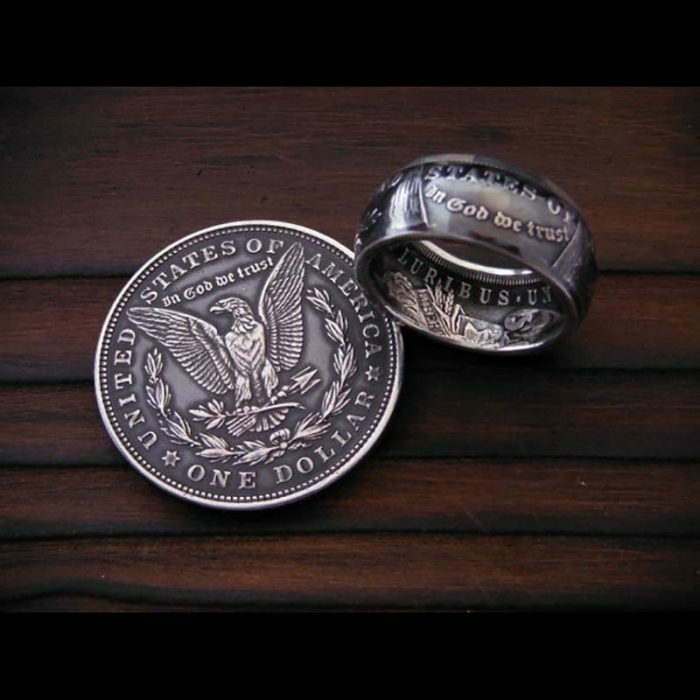 They make great thumb rings. Some coins will have more wear than others, I will pick the best coins I have first.